Prime Minister Joseph Muscat speaking to Kurt Sansone in Brussels. A Magistrate this afternoon held a party in a hall where sittings are normally held, and a Times of Malta journalist was arrested and held for three hours when he went to the law courts building to investigate. Prime Minister Joseph Muscat condemned the reporter's arrest and said the Commission for the Administration of Justice would be asked to investigate. "Following arrest of The Timesof Malta rep with concern. Gov will immediately ask Justice Commission to investigate. Proof reform necessary" Dr Muscat said in a tweet. Reporter Ivan Martin was sent to the law courts after Times of Malta received eyewitness accounts of how Magistrate Carol Peralta was holding a party. The eyewitnesses told Times of Malta that they had seen people smoking and drinking in the court hall. There were cigarettes on the floor and drinks on the magistrate’s bench, as well as a Christmas tree. The public gallery benches had been pushed to the back of the hall to create space. Music could be heard. Magistrate Peralta was seen smoking and drinking at the bench. When the reporter went to the hall and attempted to take a picture with his mobile phone, the magistrate ordered his arrest. He immediately told the Magistrate his name and that he was a journalist. The police were called and took down the reporter’s particulars as well as the particulars of chief reporter Mark Micallef, who by this time had also gone to the law courts. Mr Martin was questioned and released at Valletta police station three hours later. In a comment to timesofmalta.com, Parliamentary Secretary Owen Bonnici said he 'completely disapproved' of Magistrate Peralta's behaviour and was very saddened by what had happened. "The government has no power to reprimand the judiciary. I am saddened because his conduct sheds a bad light on all the good work of the members of the Judiciary. This incident strengthens the government's resolve to bring about the changes needed in the Constitution to empower further the Commission for the Administration of Justice," Dr Bonnici said. The Nationalist Party said it was concerned and disappointed that a reporter had been arrested on orders of a member of the judiciary while carrying out his duties. The party expressed its solidarity with the journalist and augured that justice would be done as soon as possible. Alternattiva Demokratika expressed its solidarity with reporter Ivan Martin. AD chairman Arnold Cassola said: "The abuse of power by the magistrate is unacceptable. Throwing a party in a courtroom, with drinks, cigarettes and music does not seem to be the most appropriate thing. 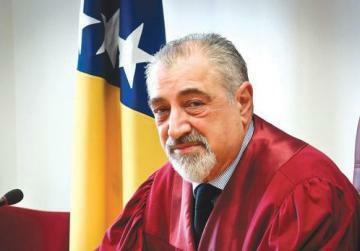 With proven corruption amongst three judges in the last 10 years, police acting as waiters, a lawyer turned minister blackmailing a person, the Armed Forces commander not bothering to answer questions on the death of 270 Syrians and now this 'toga party' the rule of law in Malta seems to be really going to the dogs." The Chamber of Advocates said it unreservedly condemned the behaviour of Magistrate Peralta when he allow the holding of a party with drinks and unlawful smoking in his courtroom and was present. This behaviour, along with the reaction against the journalists who went to report on what was happening, was unacceptable. Bishop Charles Scicluna expressed his support to the journalist. "Magistrate holds party in court hall - journalist arrested while reporting event...: support TOM!" the bishop wrote. More in the Times of Malta tomorrow. Parliamentary Secretary's letter to President Abela.